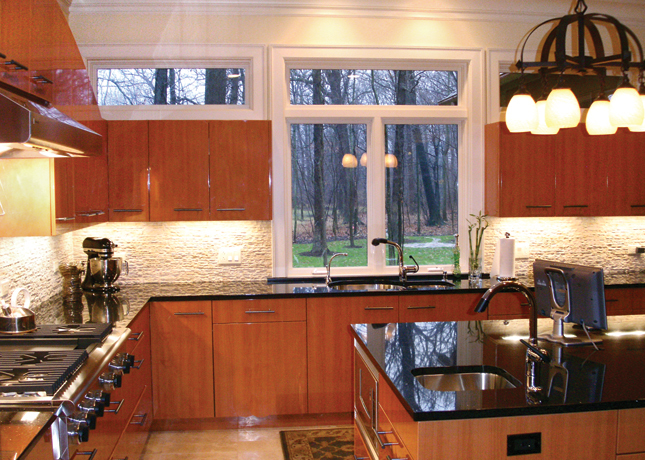 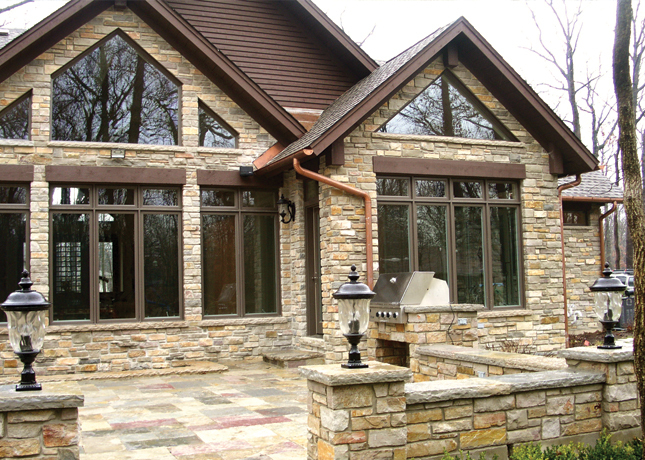 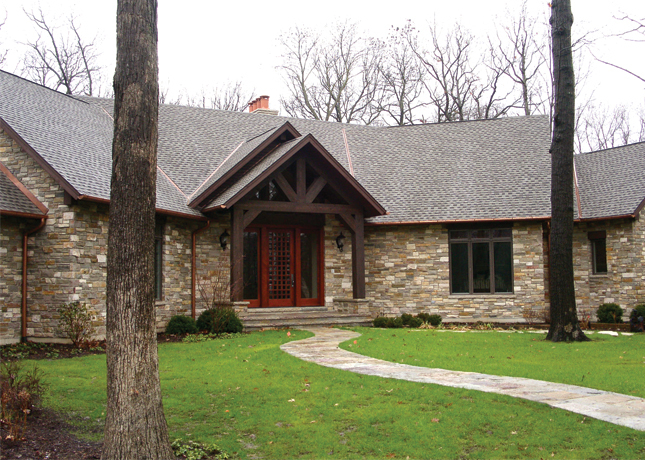 A sprawling rustic ranch home that we built on a heavily wooded lot in Riverwoods, IL. 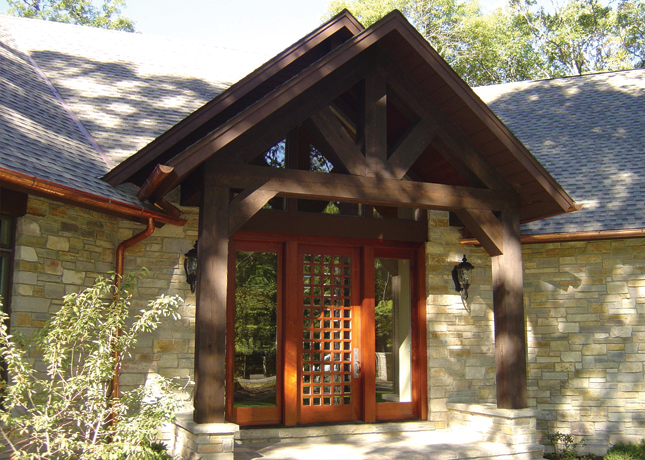 This incredible home featured a stone exterior and many custom features including a large stone patio and a custom entry and door. 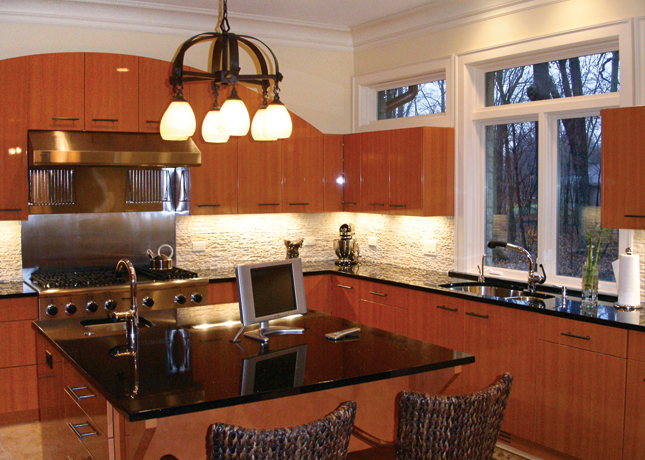 The layout of the living spaces was based on an open concept and includes a custom cabinetry kitchen with contemporary flat panel kitchen cabinets highlighted by dark stone countertops. 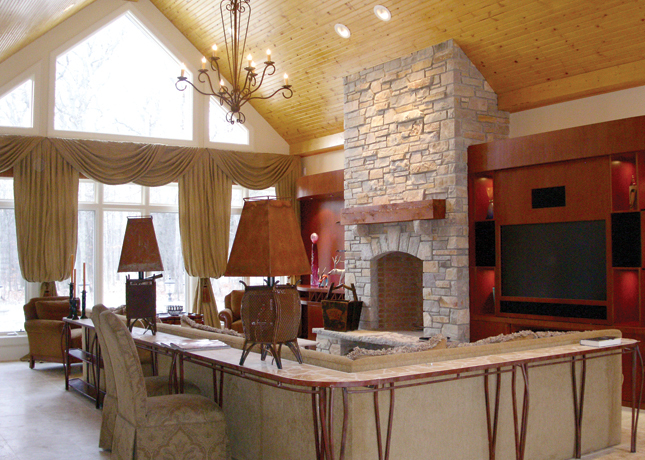 The family room has a vaulted ceiling that is covered in knotty pine wood. 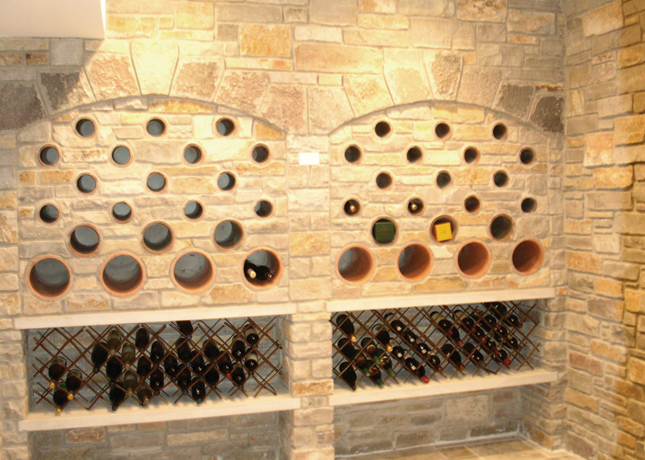 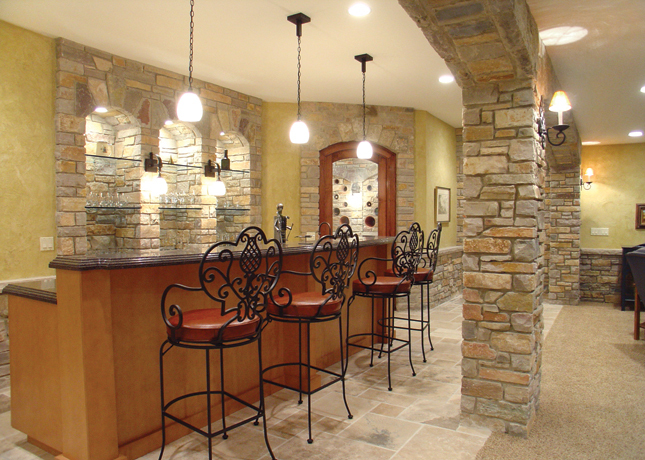 The lower level includes a high ceiling and features a custom bar which includes a stone backbar and a walkin wine cellar. 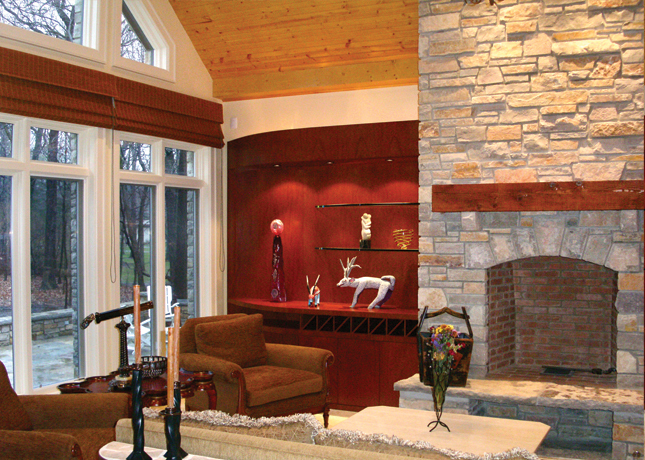 The lower level also includes a workout room and spacious entertaining areas.